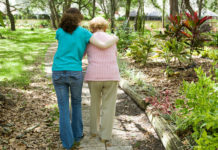 Caregiving is increasingly recognized as one of the most important jobs in our society. It’s estimated that 65 million North American adults take care of an elderly, disabled or chronically ill loved one. The importance of this role will only increase along with our elderly population. With that in mind, primary caregivers, in particular, must be aware of caregiver burnout. After all, if the primary caregiver does not take care of his or health health and wellbeing, providing care for someone else is not possible. Those who take on the care of people with serious conditions take on huge responsibilities. Typically, caregivers help their loved ones by administering medications, shopping and preparing and serving food as well as assisting with such tasks as grooming, bathing and bathroom use. The role of a caregiver extends to makeing healthcare appointments, providing transportation to the doctor’s office and consulting with medical staff on the person’s behalf. Caregiving responsiblities might also include household tasks such as laundry, cleaning and keeping track of finances. In addition, a caregiver is often the main source of companionship for older adults or the person they tend to. The essential tasks involved in providing care can take a big toll on those who perform them. Seeing to the basic needs of someone who has a chronic illness or physical or mental impairment can be an around-the-clock duty. The demands of caregiving can be substantial and even overwhelming. 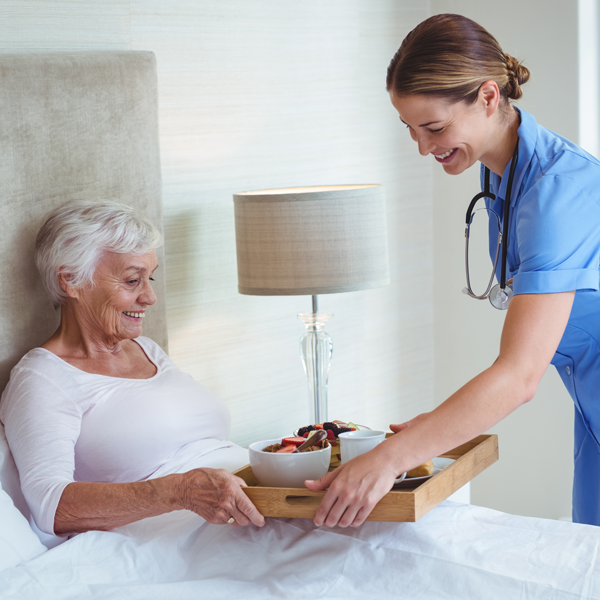 Those who provide routine care for others often report serious health conditions resulting from the stress and the physical requirements of their roles, such as lifting patients into beds and bathtubs. If the caregiving environment is not equipped with proper professional equipment such as hospital beds and lifts or wheelchair-accessible pathways, the problems are often compounded and result in more caregiver stress. Caregivers usually feel isolated, exhausted and mentally strained. A serious illness or accident can bring on profound changes in a family’s dynamics and a general upheaval in the lives of loved ones. It may be difficult to balance the needs of children and other people in the family with those of the person requiring a great deal of extra care. 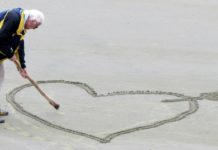 Marriages and other romantic relationships often suffer when one person assumes the caregiving role. In addition, some caregivers experience feelings of guilt if they take time for themselves. 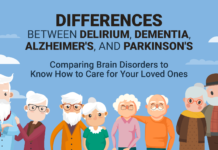 Seeing a person decline mentally and physically can also be extremely stressful, as in the case of adult children whose elderly parents no longer recognize them due to dementia. Mentally-impaired patients can challenge caregivers by being unable to speak or follow simple directions, or by displaying behavioral problems like anger and even violence. 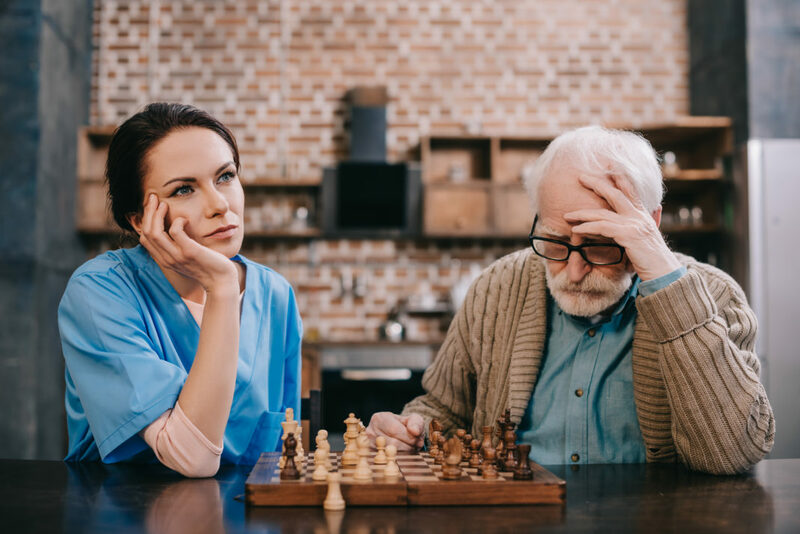 Some caregivers may experience frustration because they hold unrealistic expectations that their actions will be enough to bring a positive change to the health or mental outlook of the patient. Those who care for a family member or friend without compensation often feel great economic stress, as well. They not only bear the expenses associated with caring for sick or elderly relatives, they are also unable to work paying jobs because they need to devote their time to caregiving. The state of physical, emotional and mental stress and exhaustion resulting from shouldering the many responsibilities and physical tasks required in caregiving is commonly known as caregiver burnout. It tends to occur in situations where caregivers don’t get the help they need, suffer from a lack of sleep or rarely (or never) get a respite from demanding tasks. Caregiver burnout is not to be taken lightly. Psychologists recognize it as a debilitating psychological condition that’s caused and exacerbated by the continuing stress involved in the caregiver role. Unfortunately, many caregivers don’t realize the signs of caregiver burnout until their own mental and physical health have suffered. Both mental exhuastion and physical exhuastion are signs of burnout as a result of providing care. Caregiver burnout is more common than we think and it takes a toll on your health. According to a report compiled in 2015 by the AARP, 17% of caregivers rate their health as fair or poor. In comparison, only about 10 percent of the adult population n the United States rates their health as fair or poor. Caring for another person only becomes more difficult as you spend more time providing services. The 2015 report by the AARP also notes that caregivers who spend more time caring for their patients are more likely to rate their health as poor. Furthermore, the effects of burnout increase over time. In fact, 20% of people who end up caring for another person for 5 years or more understand their health as poor. In comparison, only 14 percent of those who are caring for someone else for about a year rate their health as poor. For your convenience, below is a list of warning signs and symptoms that might indicate caregiver burnout. How Can Caregiver Burnout Be Prevented? Those who are at risk of caregiver burnout need to take steps to prevent it or at least nip it in the bud in the early stages. It’s virtually impossible for one person to care for another 24/7. Caregivers need to feel comfortable asking for help and shouldn’t feel guilty requesting a break. On the contrary, taking time away from care duties will help make them more effective at their jobs. Many find it helpful to make a list of daily activities and then delegate duties to willing relatives and friends. Examples of caregiving responsibilites that can be taken on by others include doing laundry, making meals and running errands. Self-care is a key component in preventing caregiver burnout symptoms. Even short breaks such as going for a walk or to the gym, taking a walk or a bath, socializing with friends or going to a movie can do wonders to recharge a caregiver. Many also find that humor helps them deal with daily stress. The caregiving role takes plenty of strength and stamina, so eating well, getting enough sleep and keeping doctors’ appointments are essential actions for those who tend to others. Techniques such as meditation and yoga can also be highly beneficial to those coping with stress stemming from caregiving. Some caregivers find relief in outlets such as journaling, where they can express their thoughts, feelings and frustrations. Talking with a therapist or social worker can be very helpful as well, as these professionals are trained in advising people dealing with a wide range of issues. Joining and connecting with a support group to share feelings and experiences with others in similar circumstances can be a great reprieve for many. Additionally, such support groups are usually great places to find out about helpful resources. 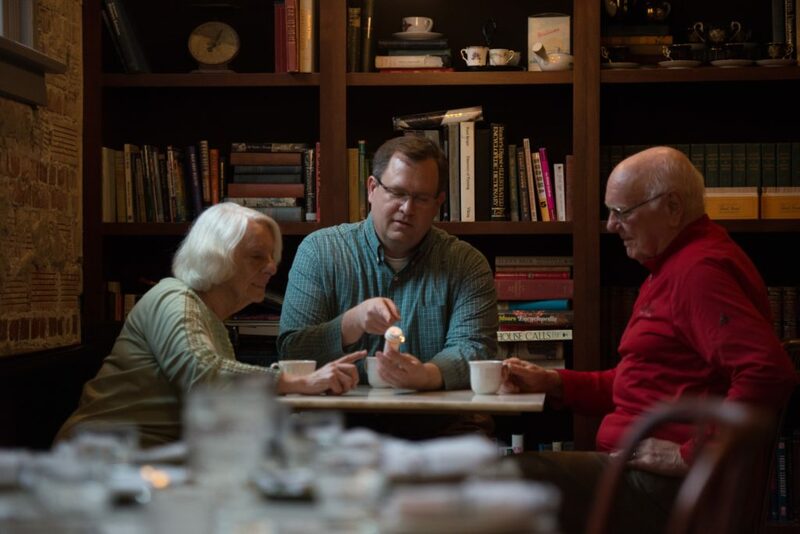 If you do not have the time to attend in-person meetings, the Family Caregiver Alliance has online support groups for primary caregivers learning to cope with and relieve caregiver stress. If this seems like the right option for you, consider looking for online caregiver support groups near you. Caregivers should know that having negative feelings such as anger and frustration is a very typical response to a trying set of circumstances. Having such emotions doesn’t mean that they are bad caregivers or bad people. In addition, they should not try to be superheroes, but instead, understand their own limits. One of the most important resources caregivers should take advantage of is respite care services, which can provide them with a much-needed break. Temporary respite care can be provided either in-home or in a facility. In some cases, a family may decide that providing home care to their disabled or elderly relative is no longer practical nor safe. The patient may need more supervision, medical attention or help with daily tasks than the family is able to provide. In those cases, moving the person in need of care into an assisted living center is often a good alternative. Facilities today offer a wide spectrum of types and levels of care, and finding a good match for the loved one’s specific needs can bring great peace of mind to a family.